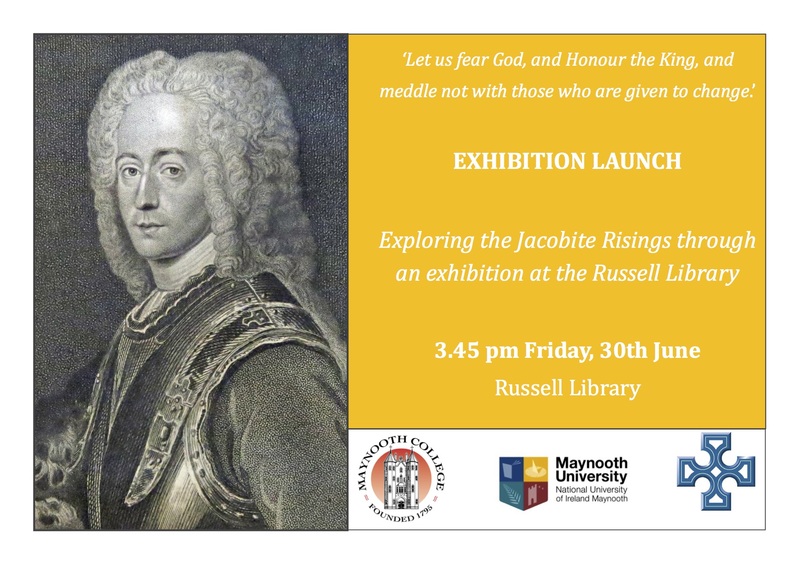 The Russell Library at Maynooth University is hosting an exhibition for the month on July on the theme ‘Exploring the Jacobite Risings’. This includes material from the St. Canice’s Cathedral collection which is now preserved at the library following a long-term lease agreement with the Representative Church Body Library last year. The exhibition will be launched on Friday, 30th June at 3.45 pm. It will be up for the month of July and is viewable during the library’s normal opening hours, which are Monday, Wednesday, Thursday from 10.00 am until 1.00 pm and 2.00 pm – 5.00 pm.